Trying to choose between two blenders? 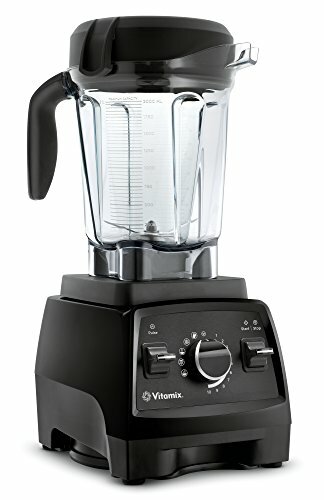 The Vitamix 5300 vs 750 Pro? An easy to follow comparison chart of the 750 Professional and 5300. Our opinion on which one to get (based on over 7 years of experience with Vitamix blenders). Mobile users can scroll left to right by swiping. Variable speed knob plus five pre-programmed settings. The 750 comes with five pre-programmed settings (cleaning mode, smoothie, frozen dessert, soup, and purée) while the 5300 comes with zero. Aside from everything else, this is the main big difference between the two blenders. Now let's get one thing clear - just because something has a pre-programmed setting doesn't mean that you need it to complete that task. Take soup for example. 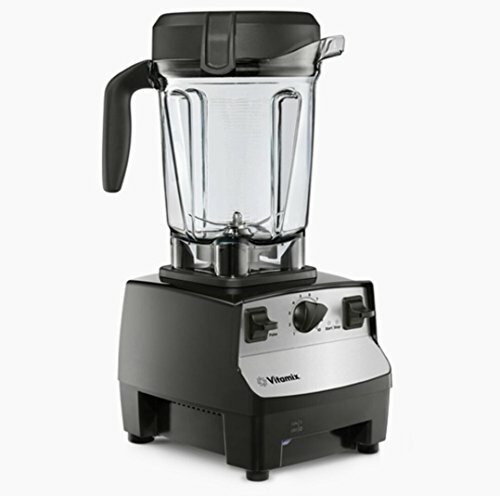 Any Vitamix blender can make soup - including the 5300, even though it doesn't have the setting. All you need to do is add the ingredients and run it on high for a certain amount of time (depends on the recipe and if you want to get it hot). The pre-programmed setting just means that you can push a button and walk away. Personally, I've never found this to be a game changing feature. That's because I don't think it takes much effort to pilot the blender in the kitchen. However, there are some people that swear by such settings. They can be good if you've got very limited time in the morning and you want to make your smoothie and multi-task without having to worry about turning it off. At the end of the day, it's a personal preference, but we'll give the winner to the 750. Although they both have the variable speed knob, the 750 has those pre-programmed settings which we've already discussed above. On the 750, you can use the knob to select the pre-programmed cycles OR control the speeds, but the 5300 knob only controls the speeds. Both have a pulse function and overall very similar controls. Both the 5300 and the Professional 750 have the same low-profile 64 oz jar. This jar is newer in the Vitamix line and is around 3 inches shorter than the classic tall and narrow Vitamix jar. It has several advantages over the original and one major disadvantage. ​It's great at doing huge batches because ingredients don't sit at the top. There blades are wide enough to make sure that a vortex is formed. It's also good because it fits in smaller spaces than the taller container hence the term low-profile. It sits easily under cabinets. The low-profile container struggles with smaller batches. You need a larger amount of ingredients to form a vortex. If you want to make small smoothie servings, it helps to buy a separate 32 oz Vitamix jar, but it unfortunately costs extra. Okay - so colors are a personal preference, but the 750 has a color selection that's slightly different from the regular Vitamix line. Typically, Vitamix blenders only come variations of red and black as the Vitamix 5300 does. However, as part of the Professional Line, the 750 has a series of sleek finishes that look great in a high-end kitchen. Since it's stainless steel, there's also a sound dampening effect. Any Vitamix is going to be loud, but a little muffling can be nice. It just depends on which one you can get for a cheaper price and if you're willing to pay more for a more unique color-set and noise-reduction. But it's clear that in terms of raw functionality and looks - the 750 wins. Both blenders come with a tamper which is one of the best things about Vitamix blenders. You're probably less likely to use it with the wide-container, but it's nice if you're doing something super thick or making a nut butter. All you need to do is put the tamper in through the lid and push the ingredients into the blades until a vortex is formed. No reason to stop and readjust ingredients. It's seriously the best part of having a Vitamix. Both the 5300 and 750 come with the epic 7-year Vitamix warranty. And yes, the warranty is as good as they say. I've had several instances where I needed a fix and Vitamix has helped me every single time for free, no questions asked. Either machine is also likely to last you well beyond the 7-year warranty period. The warranty is one of the best reasons to buy a Vitamix. The 5300 and 750 run on two different base platforms: the C-Series and G-series respectively. The G-series is the newest base-design with stainless steel and some noise reduction which we've already touched on. But the main thing you have to know is that the accessories and jars aren't compatible. That said, if you're shopping for an extra/smaller jar, make sure you get the right one. It's pretty clear on the Vitamix website which is which. In my frugal opinion, it's not worth getting the Pro 750 if you're paying extra for it. The 5300 can still clean itself, makes smoothies, soups etc. At the end of the day - you get the same capabilities and the same warranty. Unless you had a specific aesthetic that the Pro 750 called for, I'd rather have the simpler (and most likely cheaper) blender. But now that you know that the 750 has several small advantages, it's up to you if you want to potentially fork over the extra cash. Or see our guide to the best types of blenders here.